OSHA and Health Canada hosted a Regulatory Cooperation Council (RCC) stakeholder meeting on June 28, 2017 to discuss ongoing alignment of hazard communication requirements in both nations with the UN’s Globally Harmonized System (GHS). Currently, OSHA’s HazCom Standard aligns with Revision 3 of GHS and Canada’s WHMIS 2015 aligns with Revision 5, while the UN is currently working on Revision 7. A variety of topics were covered during the meeting, including several draft joint guidance documents and proposed rulemakings. One particular proposal relates to compliance with confidential business information (CBI) claim requirements under WHMIS 2015, a topic that has generated significant uncertainty and discussion. Let’s recap the presentation and discuss the major takeaways. Labeling: Outlines the labeling requirements for hazardous products under Health Canada’s Hazardous Products Regulations (HPR) and OSHA’s HazCom Standard (HCS 2012). Labeling for Hazards Not Otherwise Classified (HNOC): Provides guidance on label elements for products classified as Physical Hazards Not Otherwise Classified (PHNOC) and Health Hazards Not Otherwise Classified (HHNOC). Under the HPR, specific information elements are required on the labels for PHNOC and HHNOC products, while no corresponding label requirements currently exist under HCS 2012. The document will provide guidance on label elements considered acceptable in both countries. Allocation of authorities: Summarizes and compares the ways that Canada and the U.S. allocate authorities relating to hazardous products used in workplaces. Representatives did not indicate a specific timetable for publishing these documents. Flammable Gases: Proposed inclusion of the current (as of Revision 6) GHS subcategories of 1A and 1B, and the categories for chemically unstable gases and pyrophoric gases. 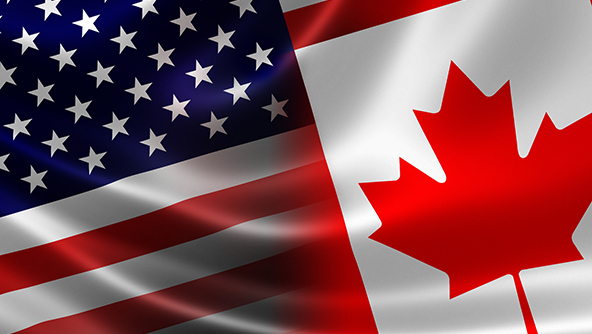 These changes would impact Subpart 2 of Part 7 of the HPR in Canada, and repeal Subpart 19 of Part 7, and also affect Appendix B of the HCS in the United States. Flammable Aerosols: Proposed inclusion of current GHS Category 3 (Non-Flammable Aerosols), which would affect Subpart 3 of Part 7 of the HPR and Appendix B of the HCS. Desensitized Explosives: Proposed addition of this new hazard class, which would affect Part 7 of the HPR and Appendix B of the HCS. OSHA stated that they are also planning changes to HCS 2012 requirements under Appendix A (Health Hazard Criteria), Appendix C (Label Elements), and Appendix D (SDS Requirements). OSHA is also considering whether recent guidance issued) on labeling small packages and kits should be incorporated into the regulations. The proposed regulatory change that prompted the most questions from stakeholders during the RCC meeting concerned CBI requirements under Health Canada’s HPR. Background: CBI in Canada was previously addressed under the Controlled Products Regulations (CPR), which allowed companies to protect confidential ingredient concentrations by either filing an application with Health Canada under the Hazardous Materials Information Act (HMIRA), or by using “prescribed concentration ranges.” These prescribed concentration ranges were generic ranges companies could apply when concentrations of ingredients varied by batch. However, in February 2015, Health Canada updated WHMIS to align with GHS (WHMIS 2015) and replaced the CPR with the HPR, thereby removing the option to use prescribed concentration ranges. Under the current HPR, manufacturers can only claim an exemption from disclosure of confidential information by submitting a formal claim to the Workplace Hazardous Materials Bureau. The claims process can be both costly and time-consuming for suppliers, and the Bureau currently faces a substantial backlog of claims that are pending approval. Current Status: Manufacturers and importers of hazardous products were originally required to comply with the HPR by June 1, 2017 under Phase 1 of the transition to WHMIS 2015, but industry representatives had estimated that thousands of claims would have needed to be filed prior to that deadline to protect concentrations as CBI, and that these filings would have cost millions of dollars. Industry stakeholders proposed that prescribed concentration ranges be permitted in lieu of submitting formal claims to the Bureau. Health Canada recently announced that is delaying the deadline for Phase I compliance with WHMIS 2015 to June 1, 2018 to allow time to consider the industry proposal, and make any potential amendments to the HPR. The deadline for distributors has also been delayed from June 1, 2018 to September 1, 2018. Unchanged is the employer deadline of December 1, 2018. More information, including the Regulatory Impact Analysis Statement (RIAS) and the delay order confirming the new Phase I deadline, is available in the May 31, 2017 issue of the Canada Gazette II. Future Updates: During the RCC presentation, Health Canada representatives stated that the prescribed concentrations proposal is “currently being reviewed to address this issue on a faster track than other proposed changes” discussed during the meeting. The representative also stated an intention that a version of the proposal would be published in the Canada Gazette and available for public comment during Fall 2017. While it is still unknown what final form the proposal may take or what concessions may eventually be included, Health Canada is clearly demonstrating awareness of its importance to stakeholders, and is prioritizing action on the proposal. OSHA and Health Canada stated that there is currently no specific timeline for implementing updates to their respective hazard communication requirements, but that they are actively working through the potential changes. We’ll keep you up-to-speed as the agencies release additional details. Our award-winning MSDSonline chemical management solutions can help you ensure that your workplace is ready for the proposed changes to Health Canada’s WHMIS 2015 regulation and OSHA’s HazCom 2012 regulation. Whether you need a way to more efficiently manage and provide employees with access to updated SDSs; generate secondary workplace container labels; assign, administer and document employee hazardous chemical safety training, or are in need for regulatory consulting guidance, including CBI claim support or SDS Authoring services, VelocityEHS can help.